Nowadays, it is well known that Information technology (IT) management system is very important for operation of businesses of all sizes. Large organizations that are required to manage a large number of branches such as banks, communication / Internet service providers, oil business or electric generating authority must have an information technology center or data center to handle all of the information at any time. This data center can be located within an organization or at data center space avialable for leases. In addition, each organization may have a Disaster Recovery Site (DR Site) for use in case where the main site is damages from disasters. The data center, which is the infrastructure for IT systems to work within, is very critical. If the IT system is not functional when needed, it will cause a lot of damages and impact on credibility as well as the revenue of the business. So, all data center managers want their data center and equipment that have high reliability and high availability as much as possible. Data center must be built with main purpose of having maximum availability or minimum downtime in line with business need and considered acceptable risk level and budget. Since the higher availability data center require high investment. So, availability of data center is the main factor when considering readiness of data center. Availability can be expressed in many ways. For example, it can be expressed in percentage such as 99.99% (Four 9’s) or by calculating down time of data center Downtime such as 100% -99.99% = 0.01% or about 0.9 hours/year (0.01% x 8,760 hours/year). Moreover, Availability can be ranked from Tier 1 to Tier 4. UPTIME INSTITUTE or TIA-942 also classifies availability into Tier. BICSI classifies as Class0 to 4. In order to achieve high availability data center (Low downtime), the standard design must be used as a design guideline. There are three global standards that are commonly used as guideline for design and construction of data centers which are. The UPTIME INSTITUTE standard, TIA-942, has 4 tier level classification. The BICSI is divided into 5 levels, but with different details. The UPTIME INSTITUTE standard focuses on the engineering aspects of the site’s infrastructure. 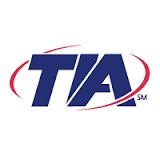 The TIA-942 and BICSI standards cover a wide range of areas, including location selection, architect, electrical, mechanical and communication. These three standards can be applied together very well. There is also project evaluation criteria from TUV institute, Germany, called the TSI-Trusted Site Infrastructure. The content of this TSI covers the areas of Environment, Construction, Fire Protection & Alarm and Extinguishing Systems, Security Systems and Organization, Energy Supply, Air Conditioning and Ventilation and Organization. TUV will evaluate existing data center or data center that is under construction and give the certification to the project which is similar to the ISO process. By getting this certification, not only the risk is reduced, and the reliability is increased, but it may also reduce the cost of insurance. TSI Certification is divided into 4 levels: Level 1 to Level 4, according to the Availability of the Data Center. Currently, there is data center standard issued by the Engineering Institute of Thailand which can be used as reference for the construction of data center in Thailand. The standards that can be used as reference.